Chemistry laboratories can be hazardous if the rules are not followed. During a chemistry course a student may handle chemicals that are carcinogenic, poisonous, flammable, and explosive. 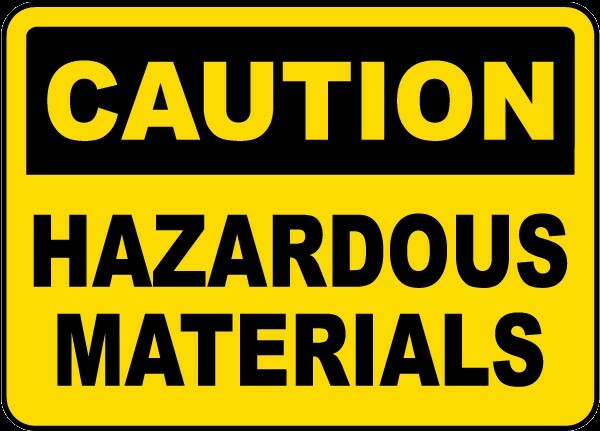 Some of the chemicals and equipment may also cause severe burns, cuts, or bruises if handled improperly or carelessly. 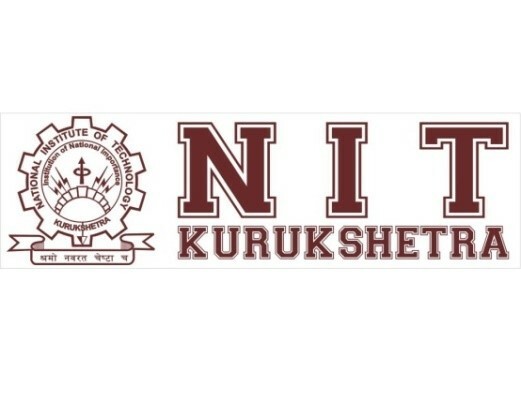 Most accidents that occur in the chemistry laboratory are a result of carelessness, impatience, improper or unauthorized experimentation, and disregard for safety rules or proper operating procedures. 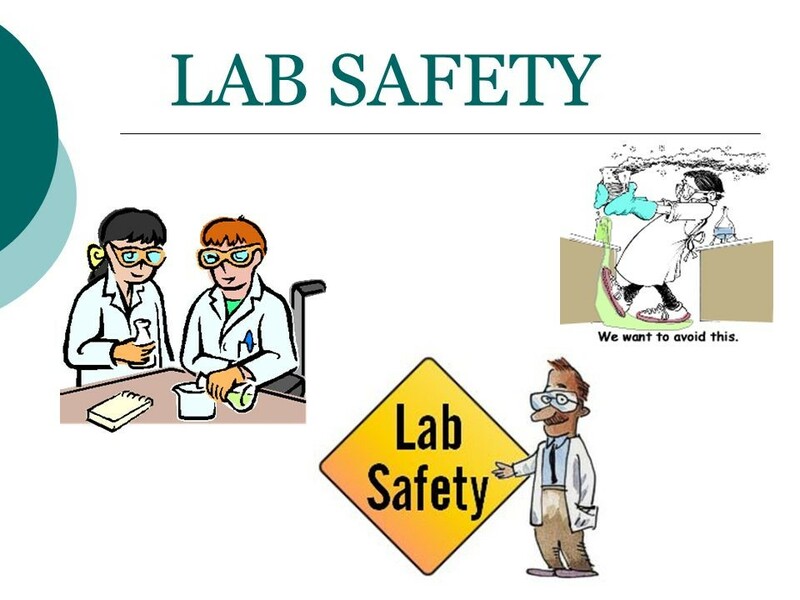 In order to minimize the chances of an accident in the laboratory certain rules and regulations must be obeyed at all times when one is working or observing in a chemical laboratory. Therefore, it is not advisable for anyone to work in a laboratory without proper knowledge of the dangers involved. 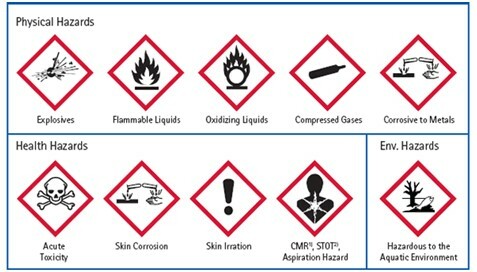 Due to the inherent dangers present in a chemical laboratory exercise, it should be understood that the following rules must be obeyed to minimize the chance of an accident. The student is expected to exercise proper judgment and extreme caution at all times when working in the laboratory. 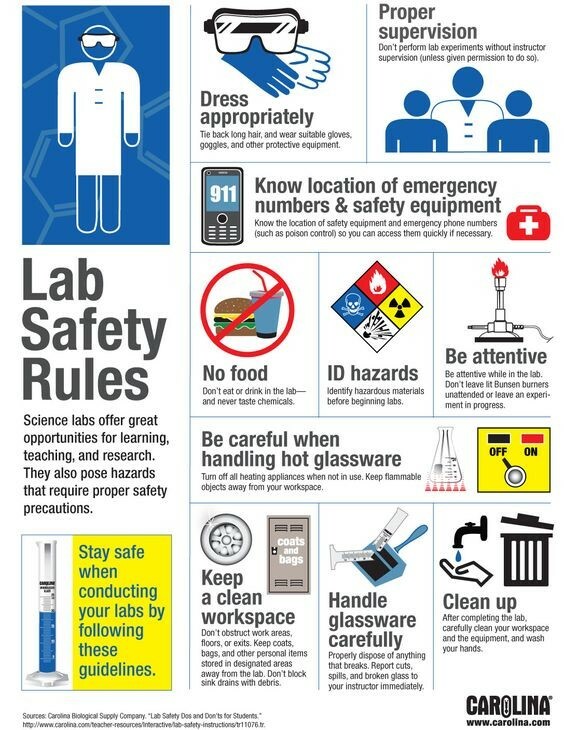 Learn and observe the safety and laboratory rules! DO NOT perform unauthorized experiments or work in a laboratory alone. PPE: Personal Protective Equipment (EYE PROTECTION and CLOTHING): Appropriate clothing must be worn at all times while in the laboratory. Approved laboratory coat or apron must be worn. Your legs must be completely covered below the knee by your choice of clothing. Approved eye protection must be worn at all times in the laboratory. Eye protection must be splash proof chemical goggles and be approved by your instructor. Always wear eye protection in the lab, even if you are not doing an experiment. Hazards can come from other students experiments – not just your own. If you do get a chemical in your eye rinse immediately with large quantities of water using the eye-wash stations. Long hair and loose clothing must be confined while in a laboratory. Closed shoes with socks must be worn at ALL times – open-toed shoes, backless shoes, sling backs, clogs, and sandals are not permitted. Know the location and proper use of fire extinguishers, fire blankets, safety showers, eye wash devices, and first aid kits. Before obtaining any chemicals carefully read the label on the reagent bottles. Eating, smoking, and drinking are not allowed in a chemistry laboratory. Thoroughly wash your hands after leaving the laboratory. Use the fume hoods when toxic or irritating vapors are involved. Never force glass tubing through cork or rubber stoppers without proper lubrication. Never direct the open end of test tube toward yourself or anyone else. Never pour water into concentrated acid. Learn the proper procedure for igniting and operating a laboratory burner. Always extinguish the flame when the burner is not being used. Make sure that all flammable reagents are well removed before lighting the burner. Chemical wastes must be disposed properly at all times. Never place chemicals directly on the balance pan. Always use a proper weighing container when using a balance to weigh a chemical. Never pour chemicals directly over the balance. Never return unused chemicals to their original container (unless directed to do so by the instructor). Securely replace lids, caps, and stoppers after removing reagents from containers. Always wipe spatulas clean before and after inserting into reagent bottles. Report any accident and/or injury, however minor, to your instructor immediately. Never place anything that is not directly required for the experiment on laboratory desks; other items may interfere with the experiment. All personal belongings should be placed in the bookcases as you enter the laboratory. Clean up any spill immediately. Before leaving the laboratory, make sure your work area is clean and dry. Ensure that all gas, water, vacuum, and air valves are completely turned off. 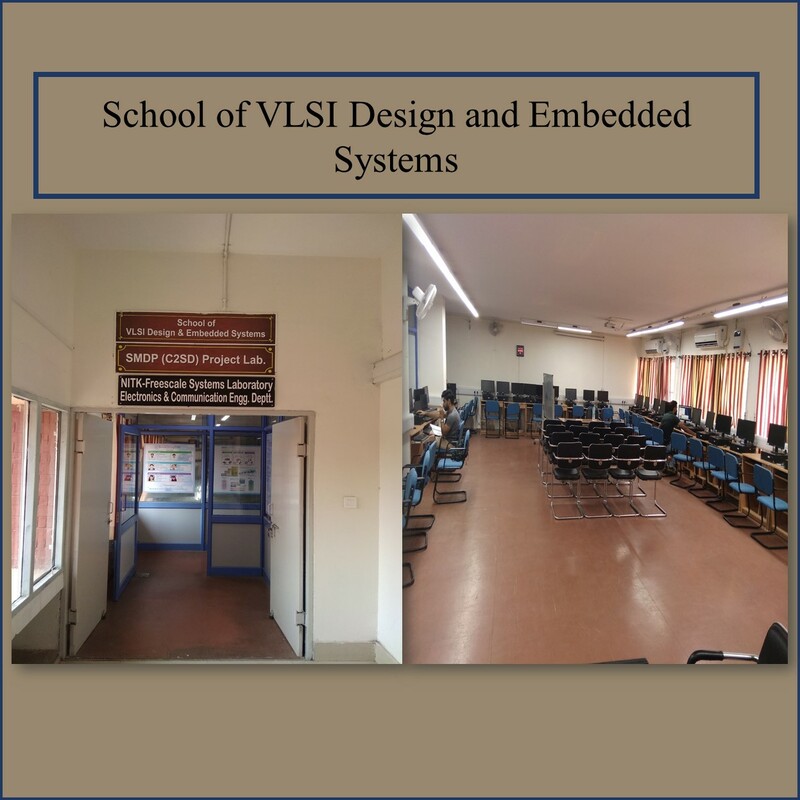 Your instructor is available for any assistance you may need. Never hesitate to ask questions especially if there is any question concerning proper operating procedure. Be sure that you understand every instruction before proceeding. 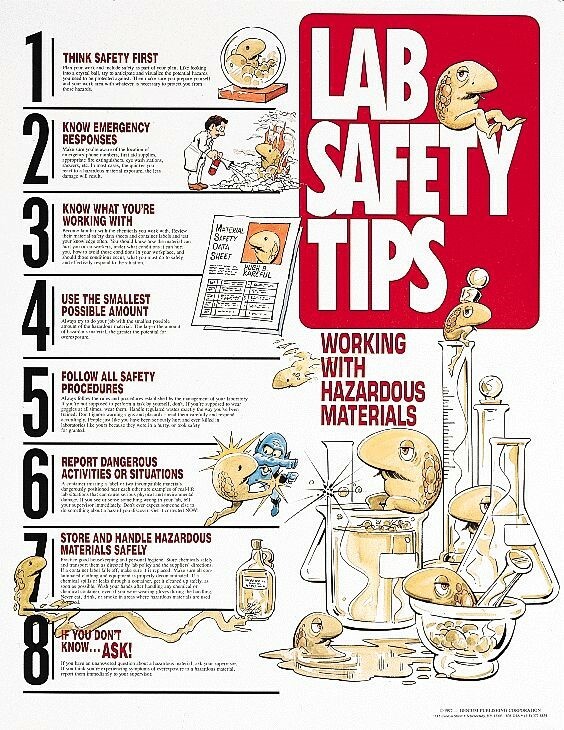 Laboratory Safety.